This photograph is a holdover from this past Sunday and represents a bit of a departure for me. It started as a standard landscape orientation macro shot that I wound up aggressively cropping and flipping to a portrait orientation. This is the first time I’ve ever done the latter and one of the very few times I’ve done the former (aside from going to a 16:9 for some landscape shots). 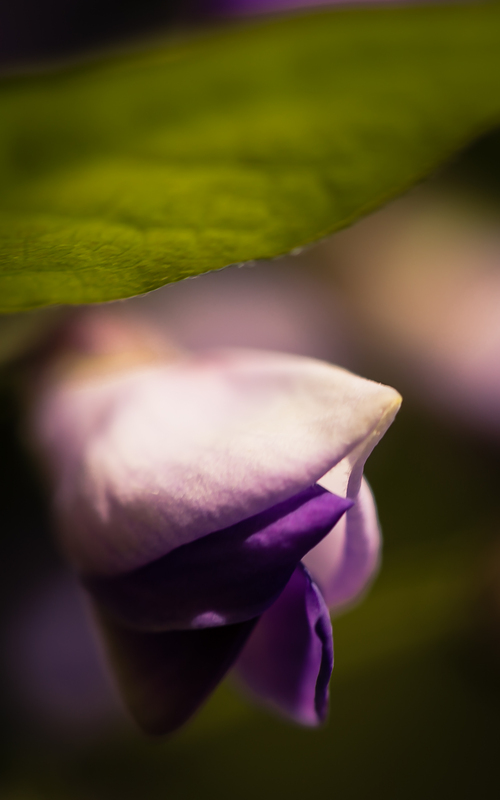 But for me, homing in on this single flowering wisteria bud, as it readied to unfold, and eliminating the extraneous negative space was the right decision here. Perhaps I’ll look to explore more with cropping in the future.